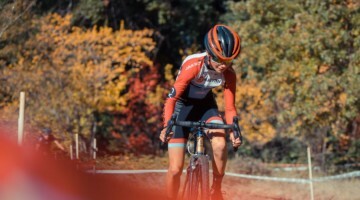 With cyclocross season fast approaching, one of the challenges for athletes is adding intensity to their training that prepares them for riding all-out for 30 to 60 minutes every weekend this fall. 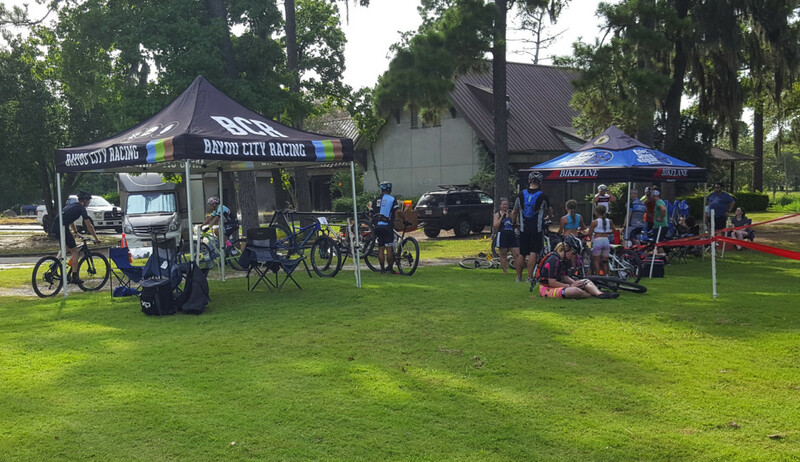 This July and August, Houston’s Bayou City Racing team came up with a way to help: short track mountain biking. With the addition of short track to the UCI Mountain Bike World Cups, we have seen cyclocross stars shine in the short, intense races. 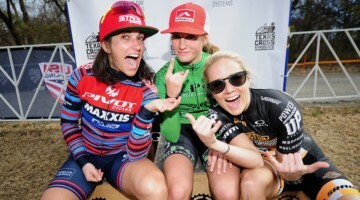 Mathieu van der Poel seems to win every race, Ellen Noble podiumed at U.S. Mountain Bike Nationals and Pauline Ferrand-Prevot, Annika Langvad and Jolanda Neff have been regulars on the Women’s podiums. Based on these results, it probably cannot hurt to try some short track racing, right? 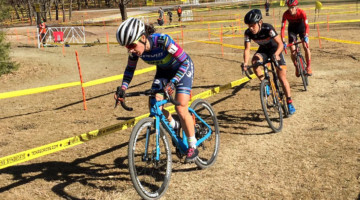 Riders get some holeshot practice in at the first Houston Short Track MTB Series race. Short track racing is not new for the Houston area, but this series is the first hosted by the Bayou City Racing team. Perhaps the most unique aspect of the short track racing series is the venue. Dedicated cyclocross spaces such as ones we have covered in Iowa and Germany always catch our attention because of their potential to provide increased access to the sport. Brock Park is a former golf course the city closed in 2015 and is in the process of re-purposing as an outdoor adventure park. 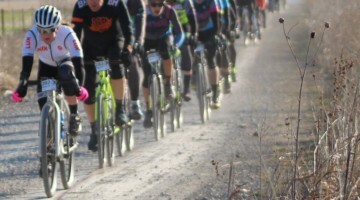 The city has plans to add up to eight miles of mountain bike singletrack, a semi-permanent cyclocross course, cross country running trails and a canoe launch. For Smith and his team, it was the perfect place to host the new HSTS. 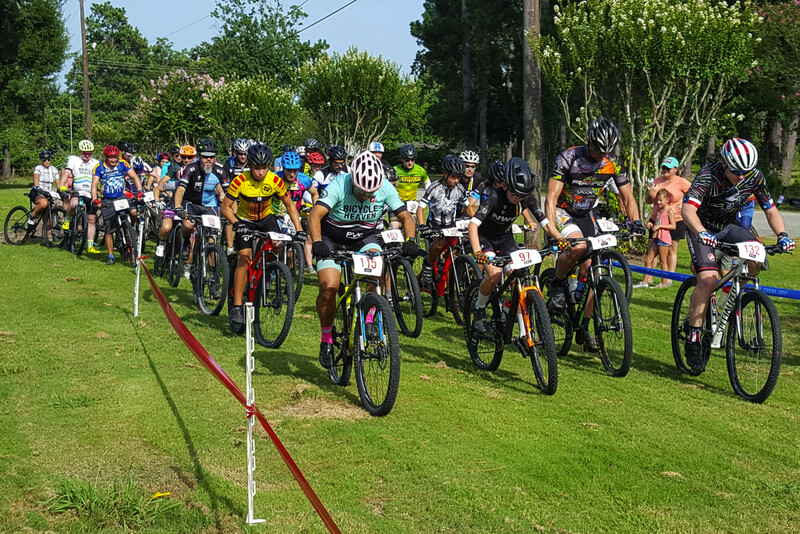 The Houston Short Track MTB Series continues for the next three Saturdays through August 11. 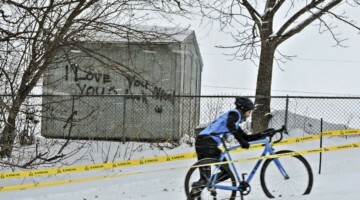 For more information, see the team’s Facebook page or the event page on bikereg.com.